Double Side Dotting Tools: ideal for making dots,blending,seams in clay,painting on rocks and making paper flowers. Rubber Tip Pens: ideal for color shaping,blending,drawing,fine detail,touch up work and remove the fingerprints. 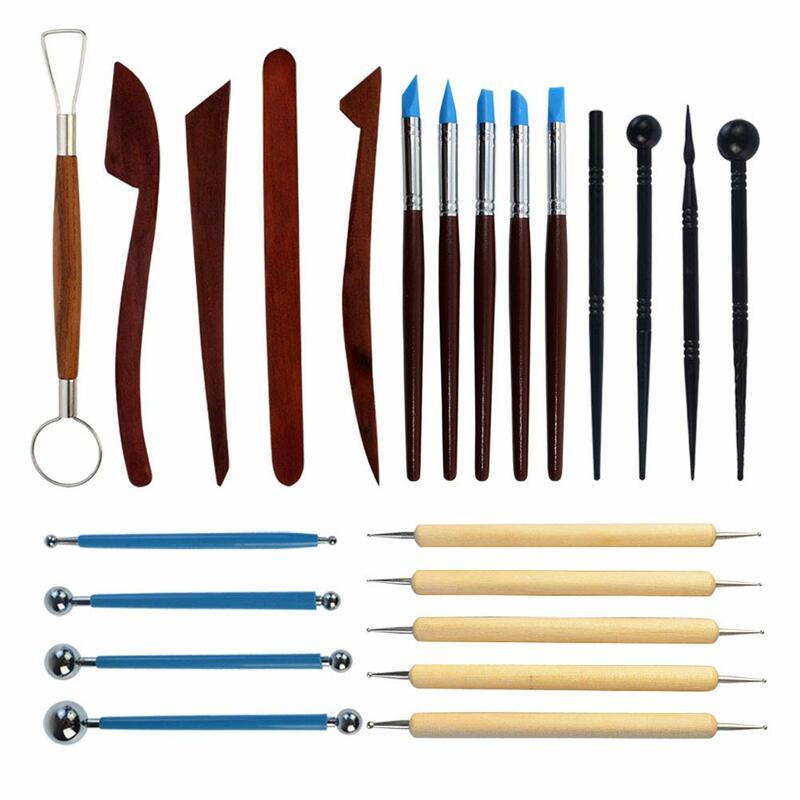 Plastic Modeling Tools: suitable for making dots, smooth lines in clay, sculpture, make paper flowers or embossing on soft paper, also suitable for cake decoration and fondant flower mold.